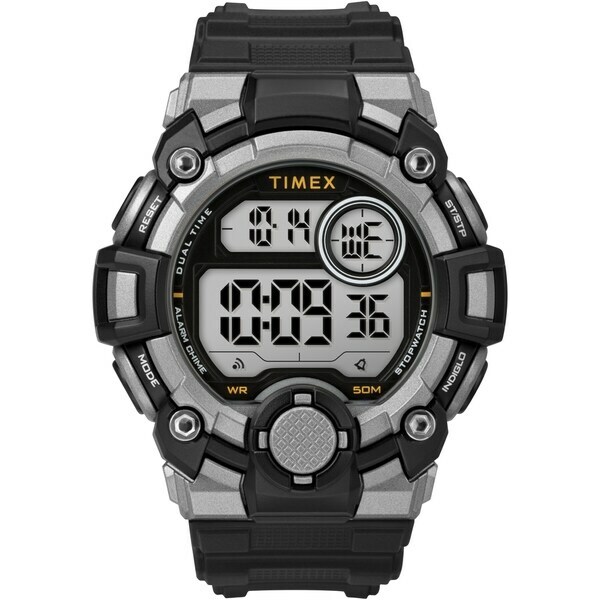 This oversized digital watch is a tactical timepiece, built with innovative digital technology and legendary durability to make meeting the demands of everyday life look easy. The metallic grey resin case and black strap are sealed for water resistance up to 50 meters, and with our Indiglo backlight, you are good to go all night. Dimensions 8.0 In. X 1.97 In. X 0.63 In. The watch has all the features I need at a price I can aeeord.